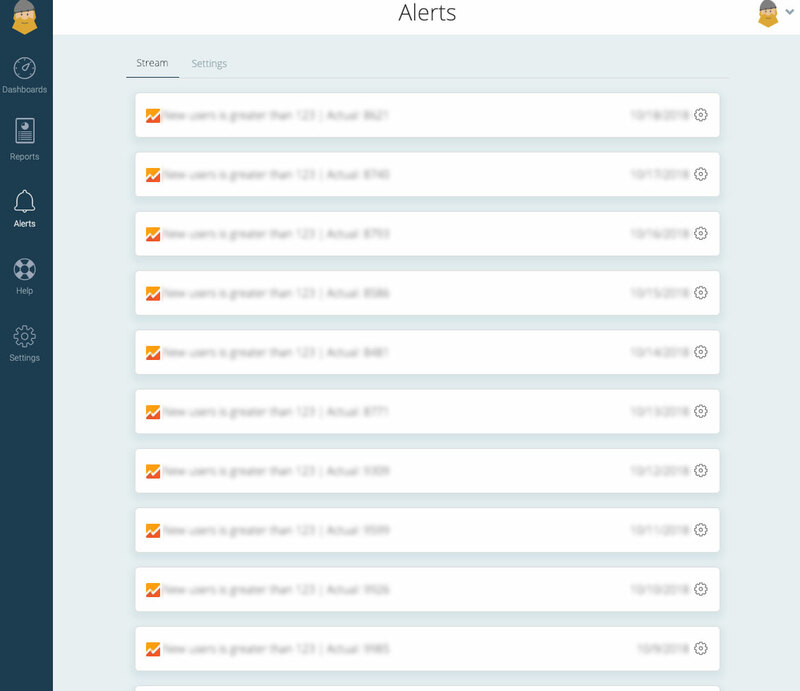 With alerts you can keep track of critical changes in your data. Website does not register visits. This is a potential Google Analytics or website error. Keep track by setting Sessions from all channels to less than 1. Google Ads not running. Maybe your credit card has been declined or somebody paused the account and then forgot it. Keep an eye on it by setting an automatic alert for Number of ad impressions is less than 1. Bounce rate. An increase of 25% in bounce rate can be caused by problems with the website. Something may be broken or at least worth taking a look at. In your overview you can toggle email notifications on and off with a simple click. 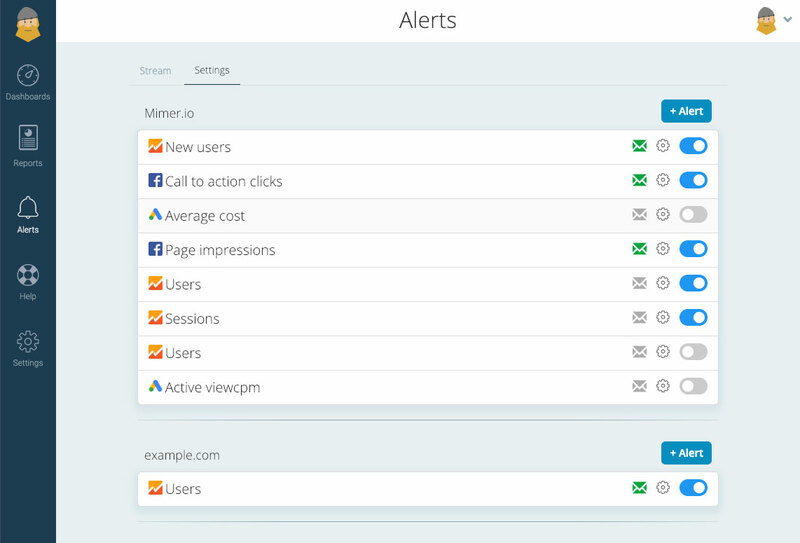 Add different automated alerts for each website and stay up-to-date with critical changes in your data without wasting your time and energy by doing it manually. Don’t want email alerts every day? No problem! Keep an eye on your alerts in our stream. Here’s an image to show you how easy it is to make alerts. 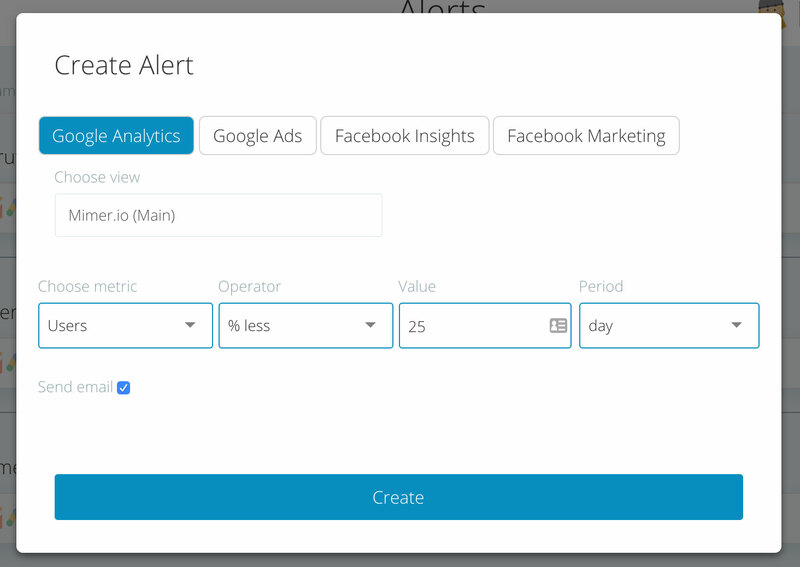 You can also use our pre-made alerts to catch the most critical changes in your data. Ready to try Mimer Metrics? With our free trial you can be up and running with alerts in minutes.